As we opened the grey trunk or the ‘sandook’ as my grandmother would call it, the metallic smell of ageing iron engulfed us. As we started scanning through her belongings, a small pouch lying in the corner caught my eye. 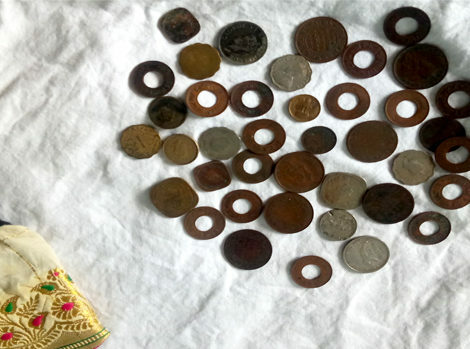 What we found in it were treasures of her past that have traversed through our country, stood the test of time and remain in good shape- her treasured coin collection! A literal translation of ‘Maasina Battalu Petti’ would be ‘Laundry case or box’. 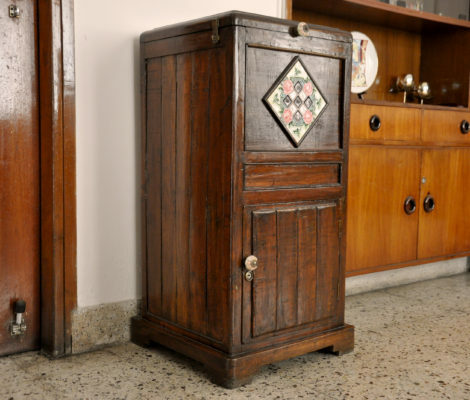 This particular teakwood laundry case was something my grandparents bought as a newly married couple from a local exhibition held by artisans and Andhra tradesmen. At a time when refrigerators weren’t readily available, the Meat Shelf was an extremely useful unit in every kitchen. It was surrounded with mesh on three sides and had three compartments and a drawer to store cooked food, vegetables and milk from getting spoilt and kept them away from rats, cats and cockroaches. 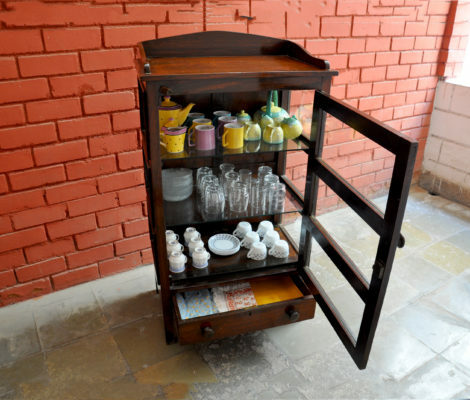 This was possibly one of Mohan’s first purchases after he got married – a beautiful strong 3ft by 2ft rosewood meat shelf. Bengali households often have a rich set of traditional items that are passed down as heirlooms from generation to generation. These are either pieces of jewellery, clothing, or any kind of utensil. 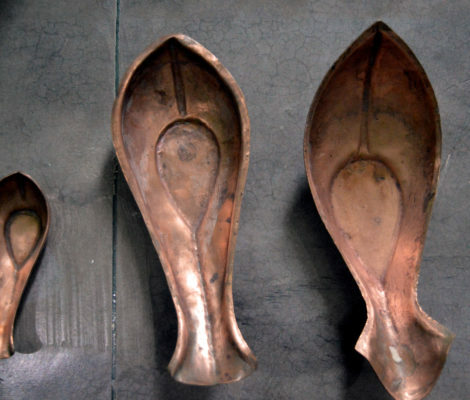 For our family, it is the Pooja utensils that my mother received from my grandmother, and which my grandmother had once received from my great-grandmother. 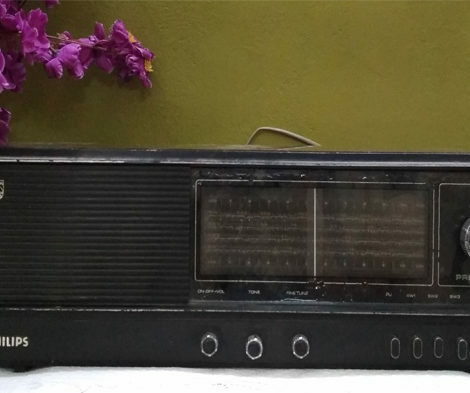 In 1978, two years after my great-grandfather’s demise, this Philips radio was bought at the price of 1000 rupees by my grandfather, Mukut Yadav. It replaced a black tape-recorder he had, until his friend; who also owned an electronics shop in Kishangarh, convinced him to buy a radio. My grandfather saved for months from his already meagre income, without my grandmother’s knowledge and bought the radio to her surprise.